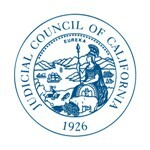 SAN FRANCISCO—The Judicial Council will meet July 27, 2012 to discuss budget allocations to the trial courts for 2012-13 fiscal year. The meeting will be held from 10:00 a.m.to 3:00 p.m. in the Judicial Council Conference Center, Hiram Johnson State Office Building, Third Floor, Ronald M. George State Office Complex, 455 Golden Gate Avenue, San Francisco. The judicial branch faces $544 million in cuts this coming fiscal year, with the trial courts having to absorb $285 million in cuts, primarily through the use of their reserve funds. A link to the live audiocast will be posted on the California Courts website at approximately 9:45 a.m. The agenda for the meeting is posted here.